E-commerce major Flipkart is looking to independently chart a course in the online travel agency (OTA) space and is gearing up to launch the vertical soon, according to two persons directly familiar with the development. India's largest e-commerce company will offer bookings for flights, trains, buses and hotels as part of this category and will launch these services through tie-ups with specific industry partners, according to one of the persons mentioned above. Flipkart is looking to appoint a category head, with the company already on the hunt for prospective candidates, the other person cited above said. The timeline and the broad contours of the launch and execution strategy were not immediately clear, with email queries sent to Flipkart not eliciting a response till the time of publishing this report. There was an earlier hint that Flipkart was eyeing the travel space when Rajesh Magow, co-founder and chief executive officer of India’s largest online travel agency MakeMyTrip, returned to its board after a two-year gap. Naspers is a common investor in the two companies. The South African conglomerate is the single largest shareholder in MakeMyTrip and one of the earliest investors in Flipkart. Launching a travel vertical would be in line with Flipkart’s strategy to diversify into categories and drive more GMV (gross merchandise value) and consumer stickiness through repeat consumer rates and on its platforms. At the start of the year, Flipkart CEO Kalyan Krishnamurthy told The Economic Times that increasing monthly active users on the platform would be the key metric going forward. “Nearly 40%-45% of Flipkart's GMV (gross merchandise value) comes from its mobile phone category, while other categories account for the rest," said Satish Meena, senior forecast analyst at research firm Forrester. Since expanding its war chest last September following a $2.5 billion infusion by Japanese investment giant SoftBank, Flipkart has left no stone unturned to drive consumer stickiness. This includes launching private labels in various categories to releasing its own smartphone. Last November, Flipkart relaunched its grocery operations through its pilot Supermart, another category that has the potential to drive-up its repeat consumer rates. Flipkart’s deep pocketed rival Amazon has also been focusing on becoming a one-stop online destination for a wide variety of consumer categories. However, while Amazon already has a significant lead in its food and grocery operations, Flipkart might have taken a lead in the OTA space with this latest move. Amazon so far shown no inclination to venture into the OTA space, at least in India. 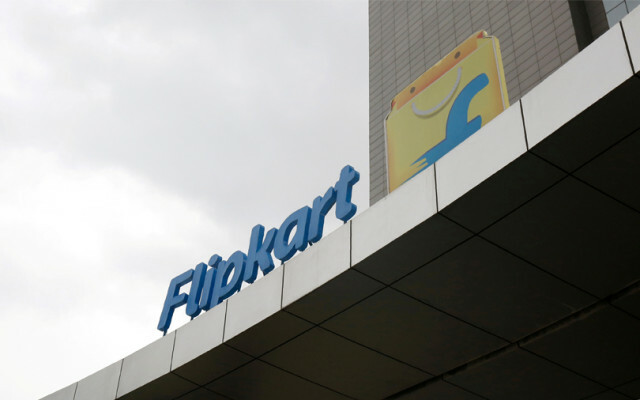 Industry experts feel that the move is natural, considering that Flipkart has a large consumer base. “This is just an extension of services under the brand,” said Jaspal Singh, partner at Valoriser Consultants. "Flipkart is filling the gap area and may open up platform for other aggregator." He added that Flipkart's huge consumer base could translate into a significant sales and revenue channel for their OTA offerings as part of a cross-selling strategy. “Most Chinese majors have tried to milk users on their platform for several other goods and services,” said HV Harish, partner at the India leadership of Grant Thornton. "Paytm has had fairly decent success in diversifying into movie and bus ticket bookings as well as the larger e-commerce business." However, some industry experts feel that Flipkart may be venturing into uncharted territory, given that the OTA space is a mature market with well established players. An estimated 40% of all travel transactions take place online, with large established players such as MakeMyTrip, Cleartrip, Goibibo, Yatra and Goomo dominating the space. These portals offer both ticketing as well as accommodation services. In the standalone hotel booking space, there are newer tech-enabled and well-funded players such as OYO, Treebo, and Fabhotels, among others. Global players such Booking.com, Agoda.com, Skyscanner, and Airbnb also have a say, as does Google Trips. “Most of the recent activity in the travel tech startup space seems to be happening in the curation space more than pure-play e-commerce,” said Anup Jain, managing director of retail consulting firm Redback Advisory Services. "Unless and otherwise Flipkart has a unique USP, it is no doubt a challenge for Flipkart as this is a sector where Flipkart does not have a natural affinity and the DNA." Forrester's Meena said that irrespective of the strategy, the travel category undoubtedly going to be a cash burning category early on as Flipkart will have to incentivise customers through discounts and cashbacks. The success of Flipkart's plan, according to the industry experts, is contingent upon a number of factors. “How expensive or successful this category becomes will depend on whether this will be powered by a back-end technology through a mainstream player like MMT or Yatra or will this be an aggregator model or will they start from scratch,” said the above-mentioned industry observer. Some industry experts say that a category like travel is better suited to operate on a transaction-intensive platform such as Paytm, which launched its travel services last year. "It might make better sense for Flipkart to launch these [travel] services through PhonePe, its in-house payments arm,” said Meena. However, if Flipkart does roll out a one-stop app - an Indian WeChat - as was reported last year, having a foundation in the travel space would be an asset. All other arguments aside, Flipkart's huge war chest is a big plus. It could well consider the acquisition of a well-established player and change the dynamics of the OTA industry overnight..
Flipkart had earmarked $1.25 billion for acquisitions from the $2.5 billion infusion it received from Japanese investment giant SoftBank last September. US retail giant Walmart is also reportedly in talks for a $10 billion investment and a deal would only fatten Flipkart's wallet. Players like Cleartrip would rank among the obvious targets should Flipkart opt for the inorganic route. Likewise, a player like US-based Yatra Inc could also be a potential candidate besides helping Flipkart pave way for a reverse listing later, according to the industry experts. However, there is the danger that Flipkart would have to fight battles on multiple fronts. Apart from the existing competition from Amazon and other e-commerce rivals, it would have the added headache of fending off players in the OTA space. But Redback's Jain said that that unless Flipkart is thinking of scaling up this vertical and competing with the bigger players through acquisitions, its travel itinerary may not go according to plan.